So my new obsession is watching Bobby Flay’s show on The Cooking Channel… Brunch at Bobby’s. I love brunch food but I rarely go out for brunch or even make it at home. But this show made me crave something unique to make for brunch. 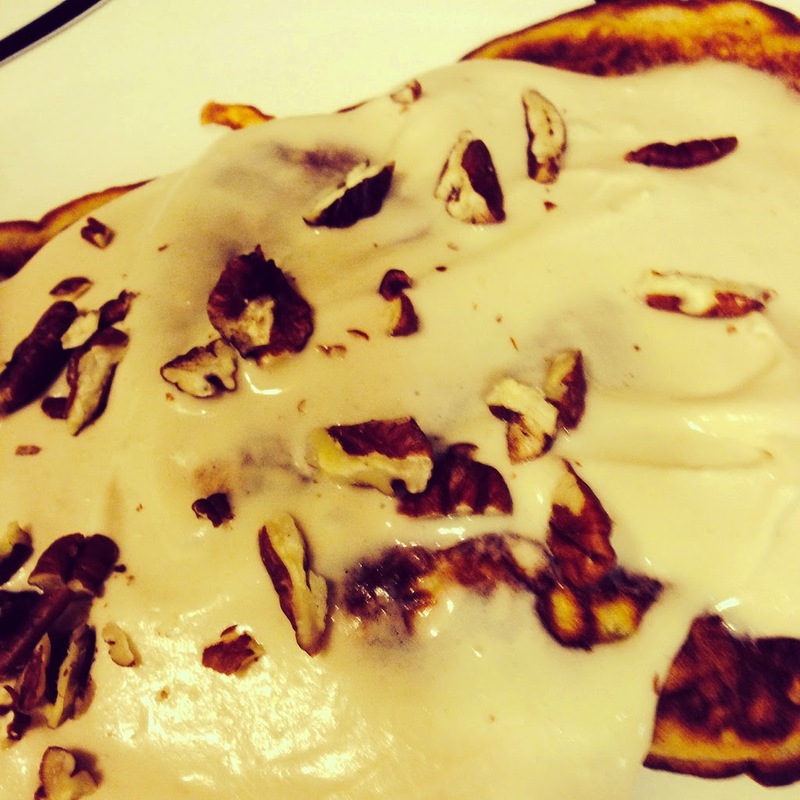 I love carrot cake on its own, so carrot cake pancakes seemed just too perfect. I made a few tweaks to Bobby’s recipe based on my tastes and what we had available. Here is Bobby’s original recipe. I made the batter and the drizzle and Brian cooked them up. For the pancakes: Whisk together the flour, sugar, baking powder, pumpkin pie spice, powdered ginger, baking soda, and sea salt in a large bowl. Whisk together the eggs, buttermilk, melted butter, and vanilla in a separate mixing bowl. Add the carrots and orange juice to wet ingredients and mix until smooth. Add the wet ingredients to the dry ingredients. Fold in the pecans and mix until just combined. Cover and refrigerate for at least 30 minutes and up to 3 hours. Heat a large nonstick skillet or griddle over medium heat. Coat the skillet with cooking spray or brush with melted butter. Spoon 1/4 cup mounds of the batter onto the skillet, spreading with a spatula. Cook until the tops are covered with bubbles and the edges look cooked, about 2 minutes. 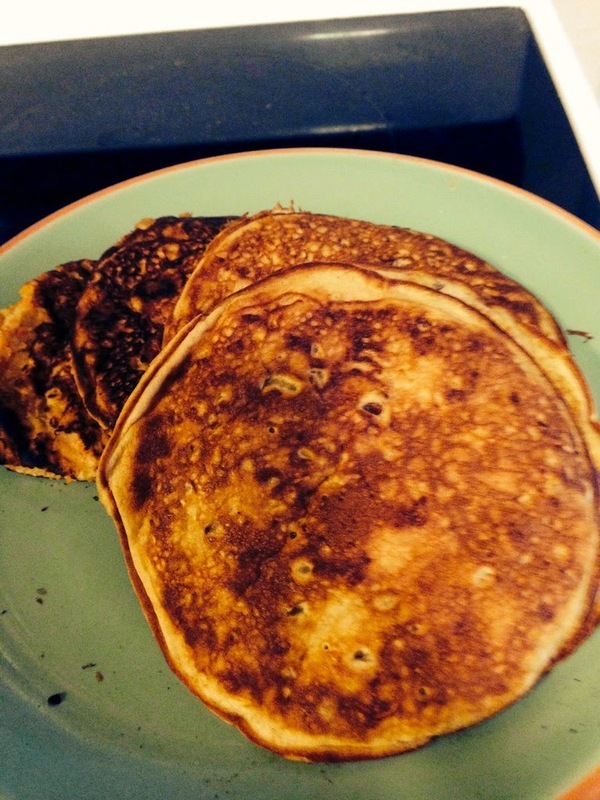 Carefully flip the pancakes over and cook until the bottoms are lightly browned, about 1 minute. Repeat with the remaining batter. Keep the cooked pancakes warm in the oven on a baking sheet, if desired. For the drizzle: Combine the cream cheese, maple syrup, butter, and brown sugar in the bowl of a stand mixer fitted with the whip attachment until combined, about 2 minutes. 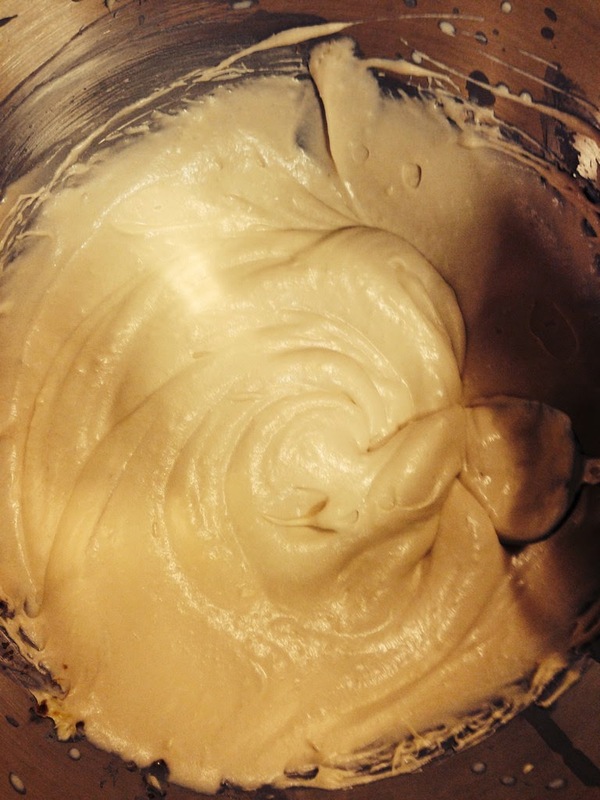 Add in the heavy cream while mixing to get drizzle to a lighter consistency. To serve: Stack the pancakes on a plate and drizzle (or slather) with the maple-cream cheese drizzle. Sprinkle with chopped walnuts or pecans.